Bvlgari Bulgari, Made in Italy. 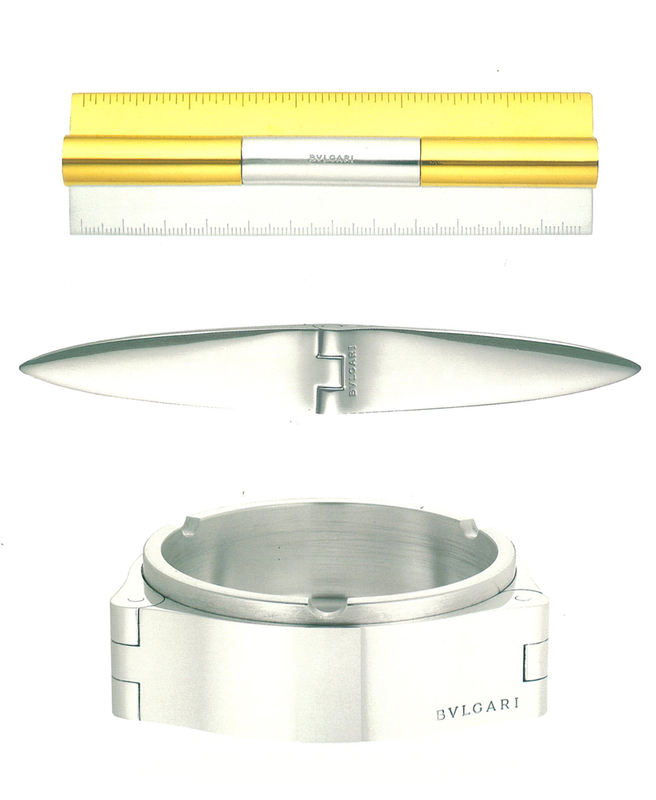 Ruler in Sterling Silver and vermeil. 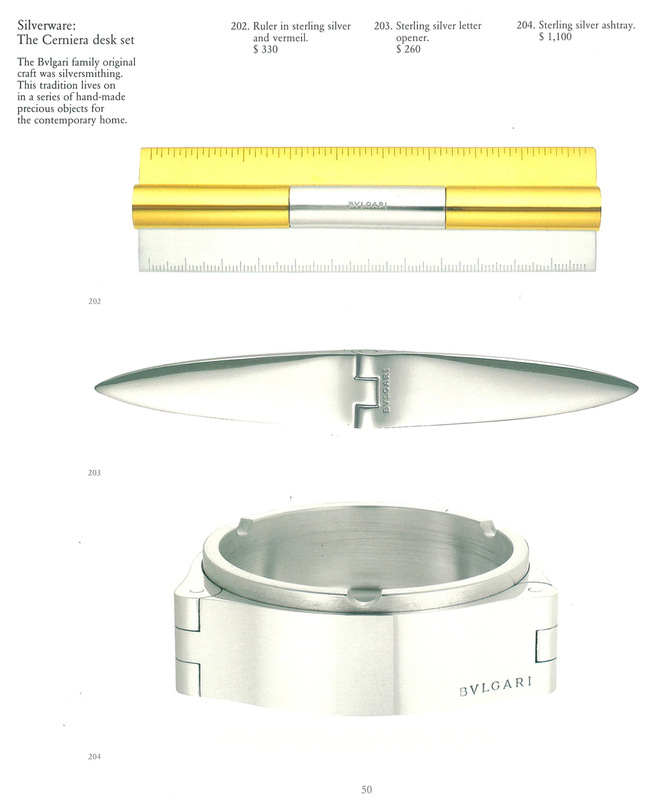 The Bvlgari family original craft was silversmithing. 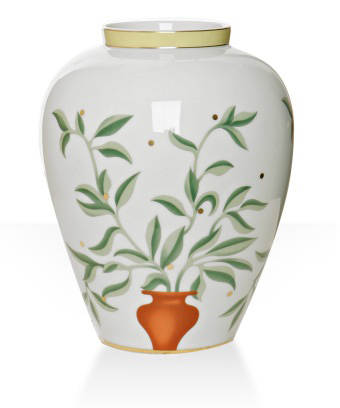 This tradition lives on in a series of hand-made precious objects for the contemporary home. 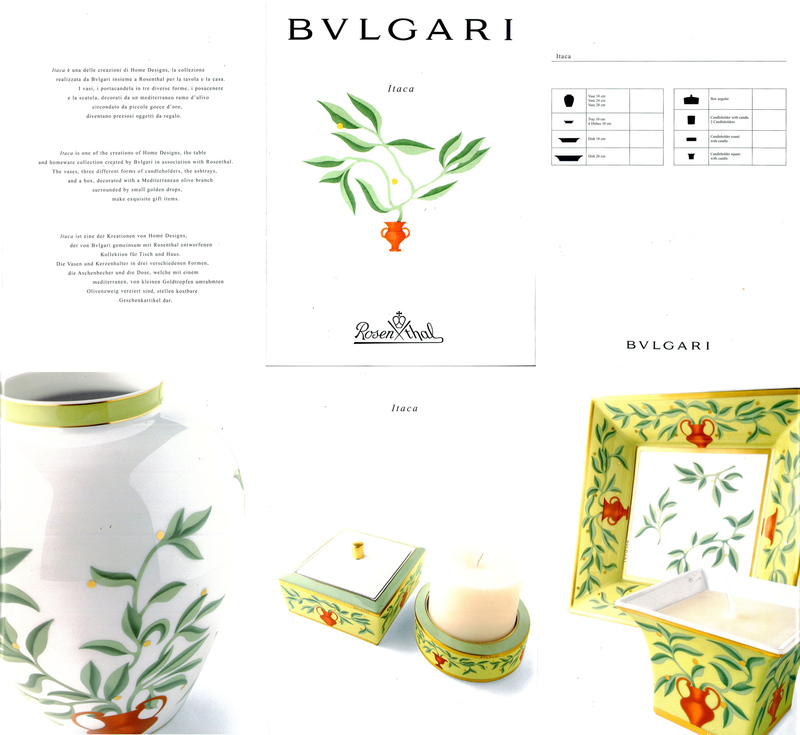 This page is from a 19963 Bvlgari catalog showcasing their best collections for jewelry and a few pages dedicated to their housewares. 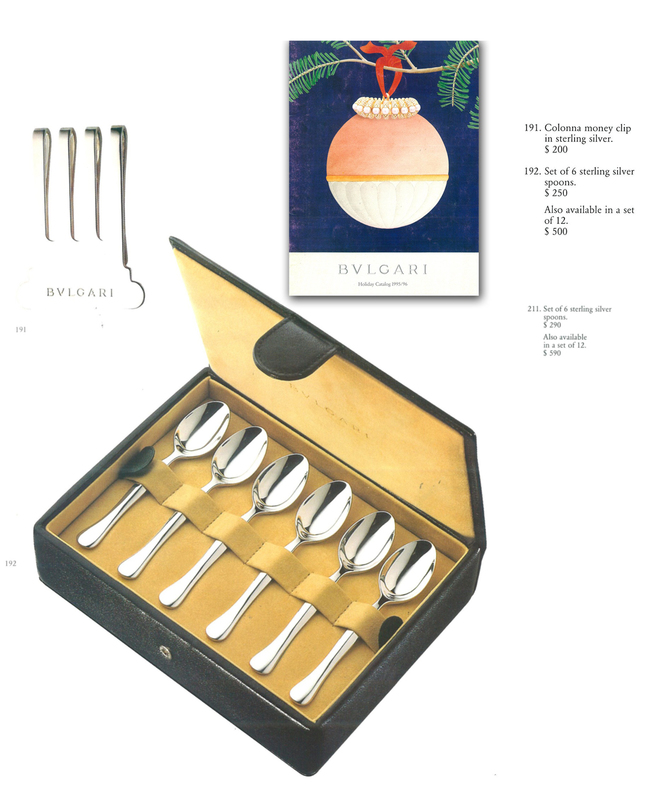 This set of sterling silver spoons comes inside a beautiful blue leather box, which can be used as a jewelry box seperately, as I did for many years, with the Bvlgari name embossed on the lid. Inside, its lined in suede like material and has a removable tray that holds the six spoons in place so that they do not scratch each other. They make a great companion to Rosenthal line of fine china tea and coffee sets. This retailed in 1996 for a decent price of $250 (the leather box alone is worth it), and next year the price had increased to $290 for the set of si spoons. 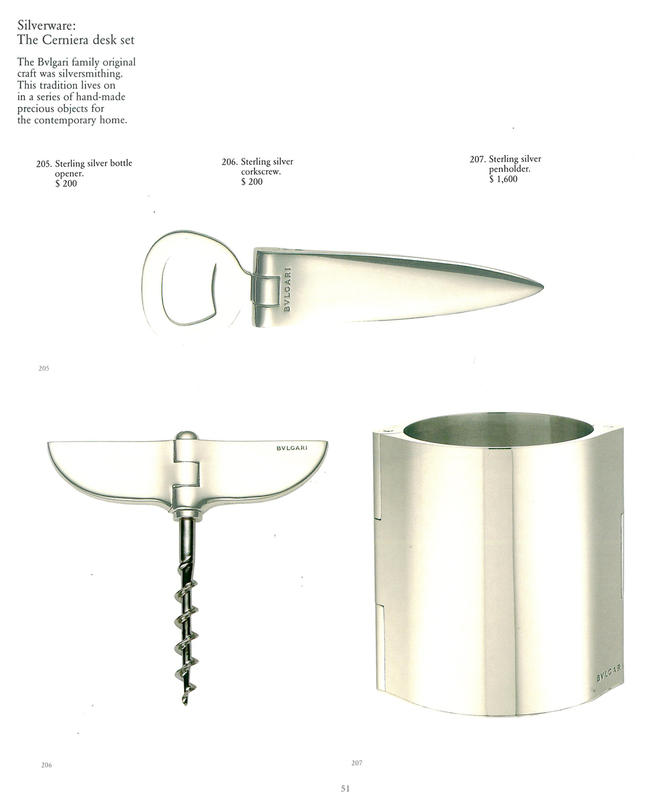 It was also available in a set of 12 spoons for $500 (in 19996) and then $590 (in 1997-1998). Tray / Dish 4″ 10cm Small, set of 4 ? Later on, I came across on ebay a secondary line of “unproduced” items from this line, that I was told was made as a test run, but that they never proceeded with manufacturing the complete run. Most of them have imperfections, mainly in the gold paint, but they are hardly noticeable and highly sought after. I will try and post all the photos of these items within this week.